Unless you have been living under a rock somewhere you will have heard of GooglePlus, the “social network” created by Google a couple of years ago. Though it has not been as successful as some people would have you think, it is still growing and evolving on a daily basis. With the power of Google behind it, and a whole slew of marketing experts evangelising it, GooglePlus is set to grow hugely in the coming year as more people make the switch. However, is it a true rival for Facebook as a social media network, or is it just too different. 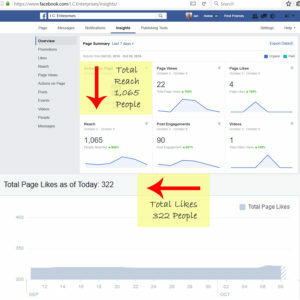 With the recent admission from Facebook that business pages were going to have to pay both to obtain more likes and also to communicate with them, it is no surprise that the Facebook experts are trying their hand on the GooglePlus network. There has been a steady, if unspectacular, move by some of the biggest marketing people on Facebook which has not gone unnoticed by those who have been using G+ for any length of time. The question is though, will the G+ platform be an effective place to promote your business and find prospective leads for your products and services. GooglePlus is a completely different network than Facebook for business use, it has been described by some as a combination of Twitter and LinkedIn on steroids. What this means is that the way of communicating and interacting on this platform is completely different than that of Facebook. The GooglePlus network is not about sharing cute photos of fluffy animals or putting 10 “happy” quotes on the feed though the day, but rather providing quality information and help to others on the network and building a following of people who want to connect with you, both as a business and a individual. This, for some, will mean a steep learning curve as we have grown accustomed to “spamming” our Facebook newsfeeds with content designed to elicit gaining reach in a platform primarily designed for personal connections. For G+, you will need to plan a strategy which will be more about finding the right people to connect with and make yourself interesting if you want to have long term success on it. Many businesses still equate high follower numbers with being successful on social media, however this is not the way to work your strategy for GooglePlus. Rather you should be following and communication with the top people in fields related to what you provide, and become seen by your prospects that way. GooglePlus as a personal network. The biggest problem with GooglePlus as an alternative to Facebook for personal users is the fact that despite what statistics may tell you, most of your family and friends just won’t be on it actively. This is actually a shame as G+ offers ways to interact with those close to you that Facebook just hasn’t got. You can use G+ to create video conferencing “calls” and connect to multiple family members at the same time for a get together. You can use your circles to share or message your whole family, your friends or even individuals straight on the newsfeed without other followers being able to see them. As it evolves further, I think that GooglePlus will definitely be the “must do” network for businesses to communicate on, however those who are putting it in the same category as Facebook are missing the point of the platform. Where Facebook is purely a social network, G+ is, as stated by Google itself, a layer amongst the many Google services to help people get the most from their online experience. More business people will come across as they find Facebook harder/costlier to use and with that will come the possibility to make some great connections through the platform, but also with it will come the users that just throw content at the newsfeed in the hope of getting thousands of +1’s, and this will give those that use the network effectively an opportunity to stand out in ways that just cannot be done on Facebook. 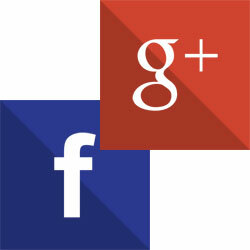 Will you be using GooglePlus in 2014? I hope to see you there if you do. Hi Ian, I really appreciate your insights on this, as I am just starting out and trying to get a grasp on all of this. I abandoned social media several years ago, and now that I’m diving in, and starting my business, its like learning all over again ~ its a whole new world! I will most definitely see you on GooglePlus in 2014!